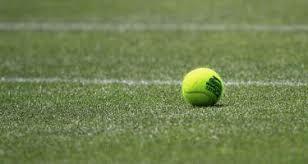 Over the weekend of 24/25th November both the County Mens and Ladies teams were competing in the Winter County Cup. The Men were playing away in Gratham in Group 2 whilst the Ladies were at Easton & Otley College Tennis Centre also competing in Group 2. Both teams seem to be in a transitional phase and it is encouraging to see so many of the county juniors now making the progression into the senior teams. With this is mind, it was going to be a big ask to maintain there status in these divisions, playing against some of the best players across the country. The Men got off to a great start against South Wales. 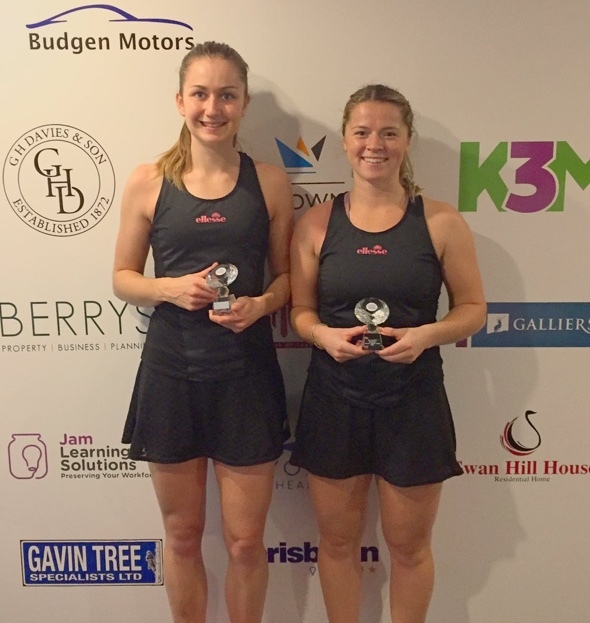 Having drawn the singles rubbers 3-3, the doubles took on added significance. 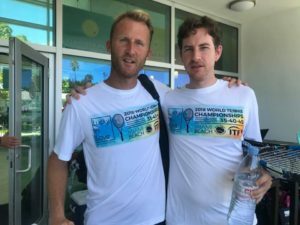 The rubber was eventually decided in the final match, with skipper Nicky Crawley and partner Alex Mcnaughton winning 6-4/6-4. 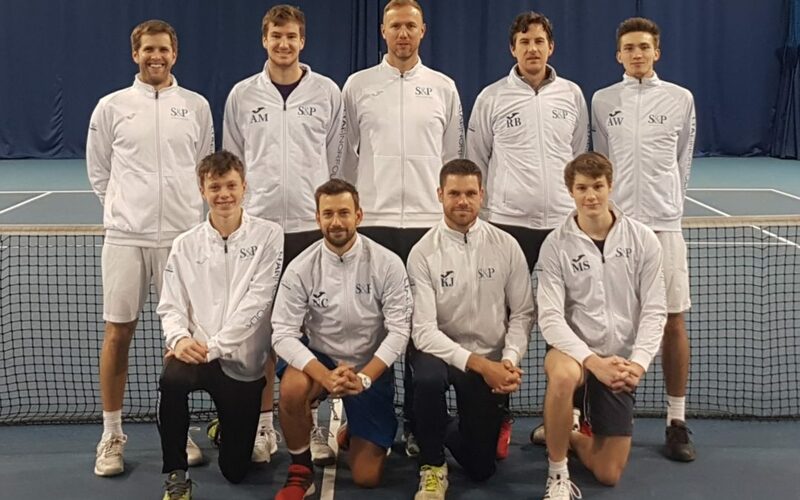 On Saturday the Men were always a rubber behind and could not turn things around in the doubles, therefore suffering a 3-6 defeat to Berkshire. On the final day, Norfolk were in the comfortable position of only needing a couple of wins to avoid relegation. This they managed with ease despite losing 4-5 to Lincolnshire. Captain Nicky Crawley was pleased with the teams efforts: “I am proud of the boys. This team always surprises me. We seem to play our best tennis in these competitions and to be in such a comfortable position on the last day is testament to a great togetherness amongst the team”. 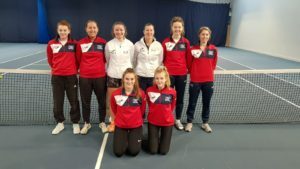 The Ladies were up against some county tennis heavyweights including Lancashire, Surrey. On day 1 singles wins for Sam Noble, Rosie Pooley and Maria Andrews (playing her first singles match for 3 years) gave Norfolk a great platform. A win for Emily Barrett and Rosie meant the team were one win away from an unlikely victory. Unfortunately the pairings of Vianne Palffy and Frances Evans and Sam and Marie both ended up losing 7-10 in a championship tie-break. So close! On day 2 it was always going to be difficult playing against a very strong Surrey team who had already won 9-0 on day 1. Norfolk gave there all but again were defeated 0-9. Going into the final day, the girls needed to win against Sussex to avoid relegation. Player of the weekend Rosie Pooley was the only singles winner, meaning the tie was decided before playing the doubles. All in all some valuable experience gained. Moving forward Caroline Blincoe will now be supporting Sam Nobile with the Ladies team and will add a great wealth of experience and knowledge to the set up. Following our promotion to Division 1 , we struggled to put together a viable team. 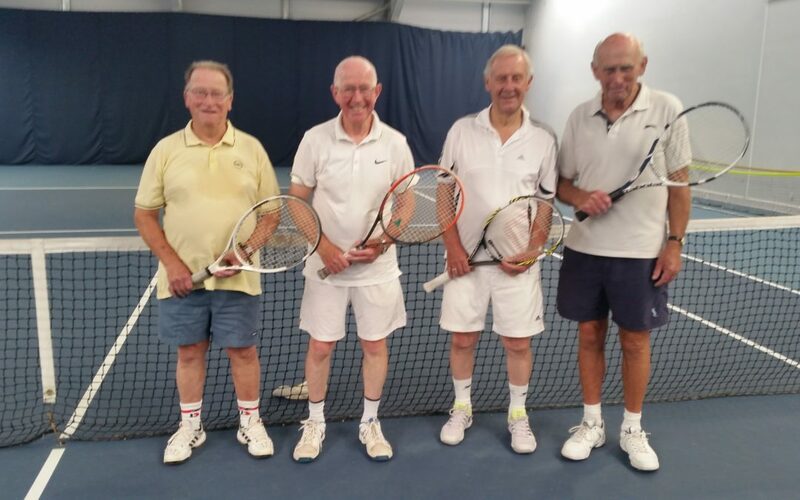 We were hit by injuries, by retirement of some players now in their 80’s, and some strong opposition – particularly Surrey who won all their matches without loss.Norfolk only had 2 players in the age group 75-80 fit and able to play – Tony Edelsten and Mike Lake, both from Acle tennis club. The opening match v. Essex at Easton was ruined by a pulled muscle for Tony Hipperson, playing with Mike Andrews early in their first rubber. Tony E and Mike L salvaged 1 rubber, so we lost the match 3-1. 6 weeks later against Notts,Tony E and Mike L won both rubbers, but the 80+pair David Kinder and the recovered Tony Hipperson lost both theirs. We conceded the match on sets and games. A mini tour in late June in marvellous weather took us to Winchester to play Hants and I.O.W. We enlisted Ivan Winter, over from Thailand,and Robin Farman, who enjoys ‘social tennis’. We went on to play Surrey next day at East Horsley. We only managed to win 2 rubbers against the Hants 2nd pair, and as with Notts we lost on sets and games. The pairing for these 2 matches was Tony E with Robin F , and Ivan W with Mike L.
The final match in early September was v.Kent at Canterbury. Here again Tony E and Mike L won 2 rubbers, and the 80+ pair Tony Hipperson and David Kinder lost both. Again we lost a third match on sets and games. Overall we enjoyed some excellent tennis, and somehow , thanks to friends and some older players, we completed all our fixtures. Next season we have 2or3 players coming up from the 70+ team for our relegated position back in Division 2. A bit like Norwich City Football ! Norfolk’s only current professional tour player has won the ITF $25,000 Womens Doubles event at Shrewsbury last week. After early season success with doubles wins in Portugal and Israel, Olivia was unable to compete for long periods suffering a number of injuries. Olivia was determined not to let the season fizzle out. Last week playing with long time partner Sarah Beth Grey, the pair made the final at Wirral. They went one better in Shrewsbury to reign supreme. In Round 2 the pair defeated Eden Silva (GBR) and Julia Terziyska (BUL) 6-7, 6-4, 10-8. A scoreline that this gritty pair have become accustom with. The final itself, saw them fight back from 0-6, to win 6-3, 10-4 against the Morderger sisters from Germany. This result means Olivia finishes the season with a WTA Doubles ranking of 220. Well done Olly and Good Luck for 2019. 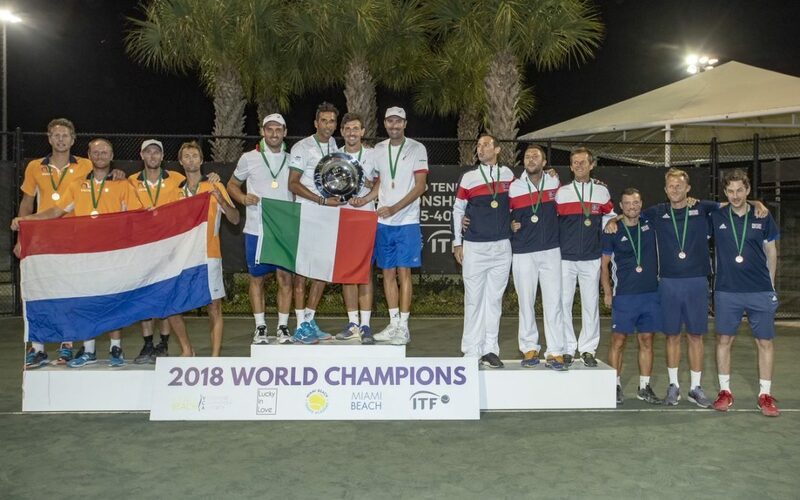 Barry Fulcher and Richard Bloomfield helped the GB team to a 4th place finish in the 2018 Seniors World Over 35 Team Championships in Miami, USA this week. Baz and Richard were playing alongside fellow Brits, Dickson and Cottier. After defeating Germany and Ireland to win Group B, the lads reached the semi finals. Unfortunately the team then lost to both USA and Netherlands to finsih 4th overall.